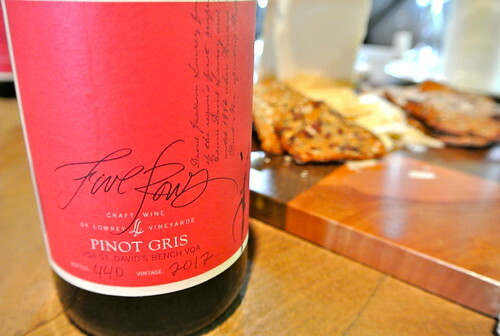 It looks perfectly at home on the Five Rows Craft Wine labels, which are all hand-numbered by the winemaker Lowrey. It’s folksy: Five Rows Craft Wine Shiraz Syrah 2010. And with that subtle change on the bottle, even if it is just one bottle, Lowrey has fixed what many fans of this small family winery already know. Five Rows Syrah is nothing like the big (as in high alcohol), jammy “bin whatever” Shirazes that Wes Lowrey (and a lot of us) enjoyed in his youth. And it never has been. Five Rows Craft Wine’s version of its Shiraz is earthy, meaty, sublime, complex, smoky and tarry with roasted meat goodness and laced with pepper and other savoury spices. It is the antithesis of a comfort wine and much more of a thought-provoking thoroughbred that comes at you in layers and does what all good wines should do: it makes you think. So, yeah. Syrah. From here on out, Syrah, no matter what the label says. 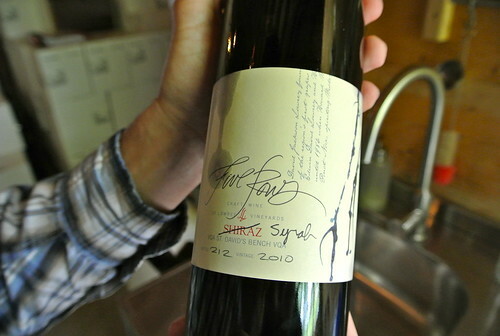 Lowrey writes about his Shiraz-Syrah quandary on his thoughtful and informative blog here. The original five rows of vines at Five Rows Craft Wine. It’s interesting to note that the Shiraz clones planted on the property are both Australian clones, 100 and 7, as Lowrey was chasing that style of wine when he first planted the vines. The 2008 Shiraz was the debut for the winery and Lowrey was a little alarmed at the stylistic differences between what he had made and what he remembers drinking from the Land of Oz. 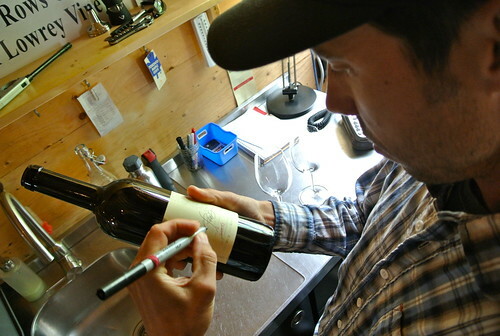 Unfortunately, he had printed all the labels to read “Shiraz” and has no plans to change them yet (and he doubts VQA will allow him to simply scribble out the word on the label). Interesting that Creekside Estate Winery, where Lowrey worked and learned under Craig McDonald (now at Hillebrand-Trius) and Creekside winemaker Rob Power, also faced the same dilemma. Creekside gets most of Lowrey’s Syrah fruit and recently changed the name of its iconic Broken Press Shiraz to Broken Press Syrah to note the close relationship to what most would consider profound stylistic differences between the two names. 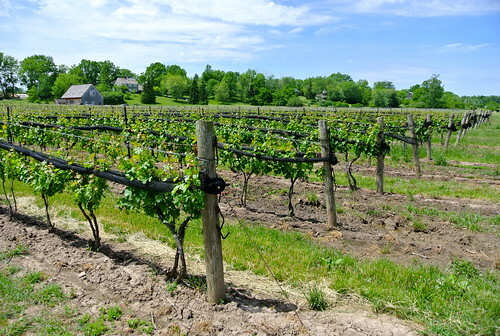 Five Rows Craft Wine is located in Niagara’s St. David’s Bench sub-appellation on the 5th generation Lowrey Vineyards property, a 35-acre vineyard that produces craft wine grape varietals for customer wineries in the area. 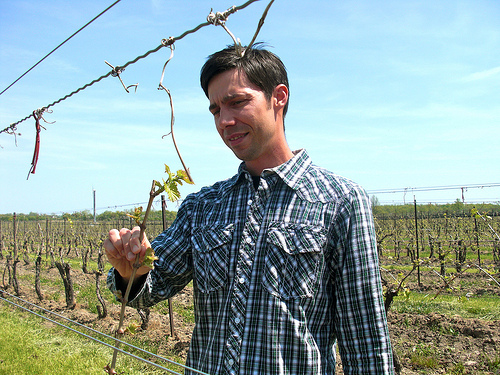 They family, Howard and Wilma Lowrey, and son Wes, are primarily growers who supply some of Niagara’s top fruit to a select few wineries and winemakers including Fielding Estate, Creekside, Leaning Post and Thomas Bachelder. Howard and Wilma run the accomplished wine grape growing operation of Lowrey Vineyards while Wes, a winemaker and viticulturalist by training, crafts small batches of wine that exemplify the terroir of the St. Davids Bench and the style of the Lowrey Farm. They are only made in tiny quantities, 700 cases spread over six varieties: Pinot Gris, Sauvignon Blanc, Riesling, Syrah, Cabernet Sauvignon and Pinot Noir (as well as a small amount of Cabernet Sauvignon icewine). 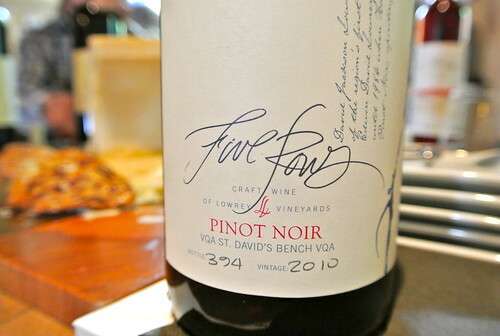 The name of the winery is a tribute to the original five rows of Pinot Noir planted on the family farm that has been the source of some of Niagara’s finest Pinot over the years. The rows are divvied up between Lowrey (two rows), Thomas Bachelder (one row) and Leaning Post (two rows). Five Rows released its latest vintages this spring and already the small amount of wine that is made by Wes is clearing out quickly. 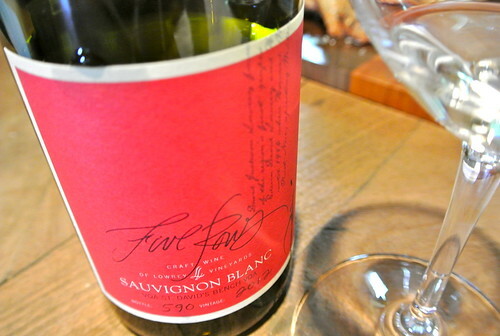 In fact, the Sauvignon Blanc is now limited to two bottles per customer. “It’s more important to have wines to sell to people so that more people try it,” says Wes. The winery has an active mailing list that buys these wines up quickly, but it’s definitely worth a weekend trip to the small barn where the family sells the wines on the weekends. Five Rows Craft Wine Sauvignon Blanc 2012 ($25, 91 points) — Like all of Wes Lowrey’s wines, there is a sense of purpose to the winemaking that shows a definitive style from vintage to vintage. He uses old French oak barrels (5-8 years old) for barrel fermentation and aging on 60% of the fruit to add just a bit of weight and complexity. The 2012 vintage delivered ripe, expressive fruit and that’s what you get on the nose of this lovely white with gooseberry, grapefruit, wild herbs, lemon-lime and just a soft note of wet hay and grass. It is quite ripe on the palate but maintains vibrancy through the finish with zesty citrus-quince notes and a hint of spice. 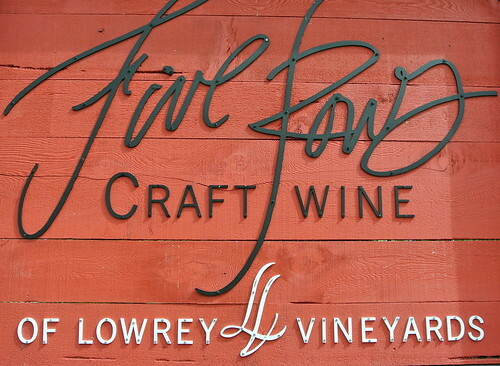 Five Rows Craft Wine Riesling 2012 ($25, 89 points) — The nose shows lovely citrus-lime notes with lemon verbena leaves, apple and hints of mineral and peach. It’s builds on the palate with grapefruit, lime, peach and touches of tropical fruits and riverbed minerality. Very nice drink right now but could age for two or three years. 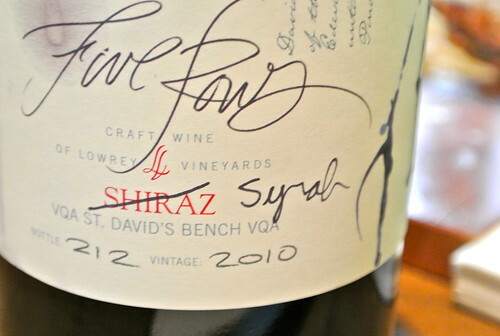 Five Rows Craft Wine Shiraz Syrah 2010 ($50, 93 points) — All of Lowrey’s reds get the same oak treatment; 24 months in French oak, one-third new with the rest in various older barrels. As noted above, about as far away from what we normally associate with Shiraz as you can get. This is pure Syrah, a reflection of the vineyard and what it can deliver under perfect conditions in Niagara. A nose that’s meaty, earthy and smoky with gobs of dark, rich, black fruits, pepper and an array of other spices. And, in the mouth, yes, there are firm tannins, but structural tannins, not overly aggressive to go with blackberries, cassis, currants, cracked peppercorns and all lifted by vibrant acidity. Watch this as it grows up and all those lovely attributes begin singing in harmony. Wow. A Syrah to savour, contemplate and enjoy with each sip. 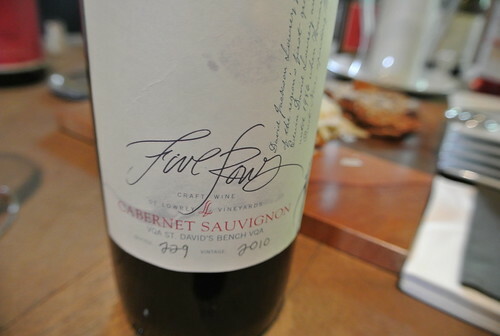 Five Rows Craft Wine Cabernet Sauvignon 2010 ($50, 89 points) — Lowrey is driven to prove that Niagara can grow and make Cabernet Sauvignon as a single variety. “If you thin the crap out of it you can get it ripe,” he says. “My goal is to show what we can do with this grape in our terroir.” A noble goal, to be sure, as Cabernet generally needs heat and lots of it. 2010 was the kind of season that lent itself to this difficult grape in a cool climate. I’m still searching for great Cabernet Sauvignon in Niagara and this one comes close. The nose is so very tight at the moment but showing pent-up cassis, currants and subtle cherry notes under the oak. The palate is defined by the tannic structure at the moment with fruit just beginning to emerge with the oak-inspired spices. It’s an aggressive Cab at the moment, with a promise of rounding out as it ages in the bottle. 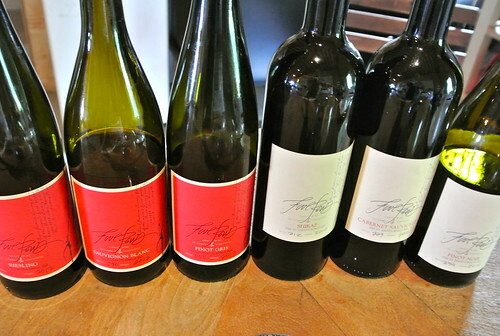 Note: Five Rows Craft Wines are available only at the winery or online. The winery enjoys an active following and sells out its production quickly. Great wines and very proud to have the 2009 Pinot Noir here for sale in our Tokyo store!